Bunnies by the Bay’s first original bunny is still the most endearing. Soft blue velour and white shearling fur. Embroidered carrot and Bud name. The original Bunnies by the Bay Bunny! Bunnies by the Bay’s first original bunny is still the most endearing. Irresistible from ears to tail in soft blue velour and white shearling fur. 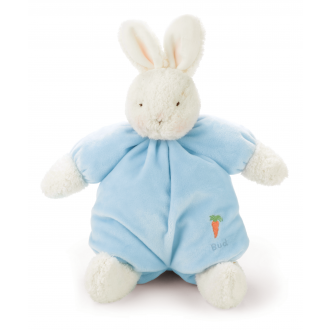 This gorgeous plush bunny features an embroidered carrot and has his name Bud. The perfect companion for your little one, this beautiful cuddly plush toy will put a smile on everyone’s face.